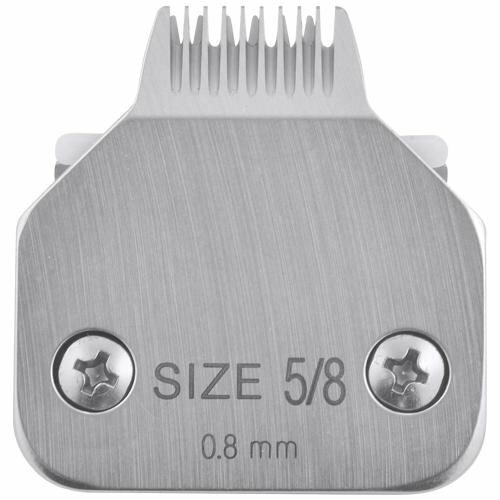 Miaco clipper blade size 5/8 narrow. Cuts 1/32"/0.8mm. Replaces Oster clipper blade 919-10. Durable HRC60 High carbon steel. This blade is used for cutting Poodle patterns and as a foot blade. Used to work in tight areas and cuts about the same length as a 30 blade. It is also great for the inside of small-cropped ears. Fits all clippers that use A5 style detachable blades such as Oster A5, Golden A5, Turbo A5, Oster Power Pro, Andis AGC, Andis AGR, Wahl, Laube, Moser, Thrive, etc.